Please Join Spasta on Saturday, December 22nd celebrating Xmas the right way with The Greeks! We are back for round two and doing it bigger and better! 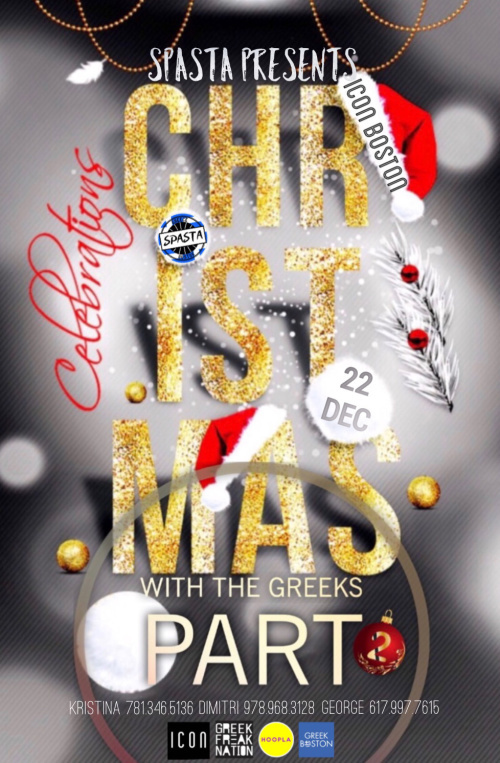 Back to Icon Boston for another Greek Night that you don't want to miss! Resident Dj George Adamakis providing us all night with the best Greek beats!